This week we are stocking up on medical supplies! Pain killers like aspirin, tylenol, ibuprofen, etc. Digestive medications, like pepto-bismol and tums, cold and flu medicine, allergy medications… basically whatever your family normally uses. One bottle or box goes a long way, so you may (like me) only need to grab a couple things. Maybe its because she has only been with our family a short while, but I forgot about pet medicine until last night! I’ll be stocking up on de-wormer and a couple other things for our sweet new puppy as well, so you may want to take that into consideration when you’re out shopping this week! Also, I love finding good deals on stuff, so if you’re a coupon fiend or just pay attention to store ads, please comment and let me know if there are any good sales on medical supplies going on this week! 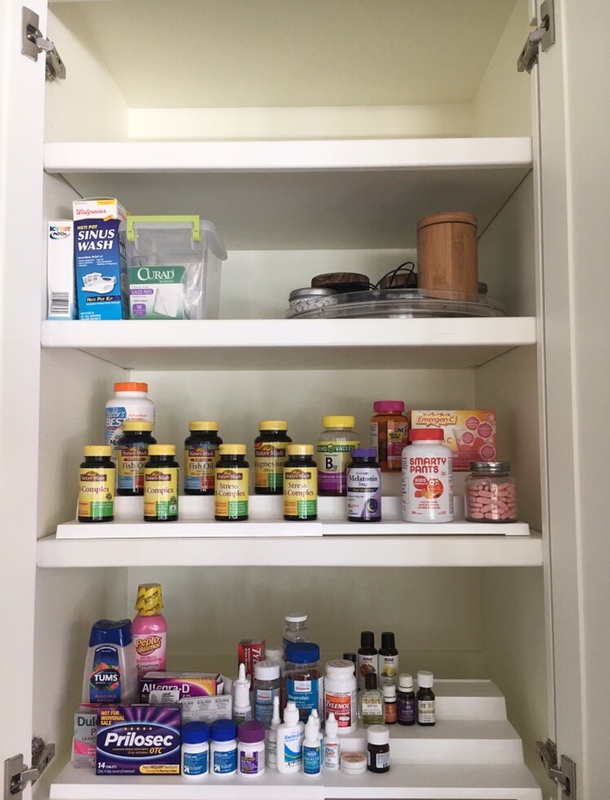 And since we are on the topic of medicine, I thought I would share my recent medicine cabinet organization project! As you can see I utilized both lazy susans and tiered organizers. 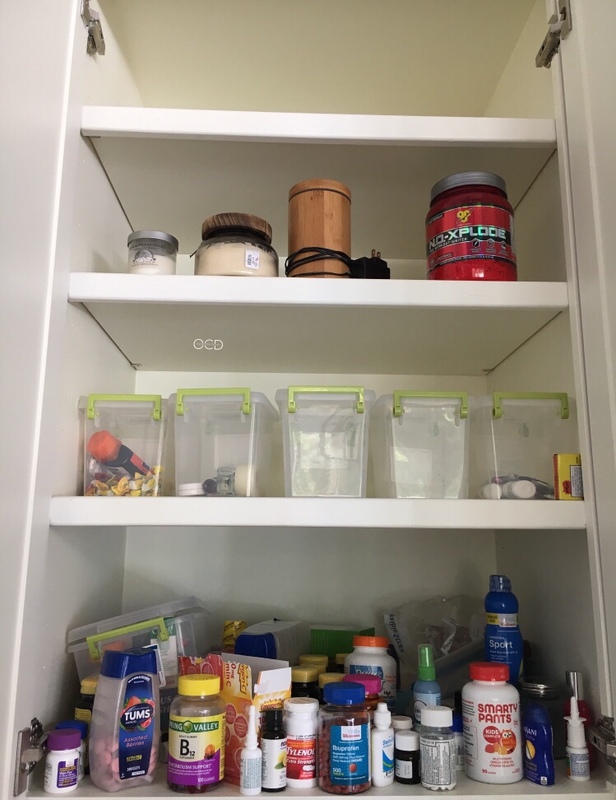 Here are some of my favorite medicine cabinet organizational tools- you can click the pics and it will take you right to the website.